Thief River Falls daily newspaper since the mid-1980s! The Radio Gram is available five days a week, Monday through Friday, with a mixture of news, sports, entertainment information and business advertisements. Locally produced and compelling. Thief River Falls Radio prints and distributes approximately 1,250 copies of the Radio Gram each weekday morning to over 100 locations in the community; restaurants, schools, businesses, convenience stores and the like…anywhere people gather is where you will find the Radio Gram. Since 1990 the “North County’s Best County” has been providing northwest Minnesota with a healthy dose of country music. Offering today’s “Hot Country” 24-hours a day. Hot County is the Country music of the late 1990s and 2000’s that has brought the genre to a whole new audience. Great new music, along with local news, sports and weather. KKDQ has a long affiliation with _ the Red River Farm Network, reporting agriculture’s business as it affects northwest Minnesota and the Red River Valley. 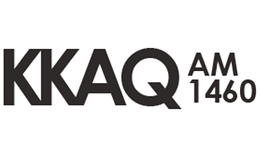 KKDQ is also a source for local and regional play-by-play. TRF Radio’s newest addition, “94.1 The Falls” hit the airwaves in October of 2015, and is licensed to nearby Red Lake Falls. 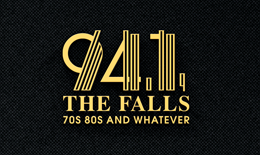 “94.1 The Falls” is a 50,000 watt, 24-hour music intensive station, that plays your favorite songs from the 70’s, 80’s, 90’s – whatever! 94.1 FM is your “mix-tape” on the radio. Fun and upbeat, great songs that you can enjoy at home, work or in the car. Mainly music with a slice of regional high school play-by-play sports coverage.. The “Flagship” Station of Thief River Falls Radio has been serving Northwest Minnesota since 1947. 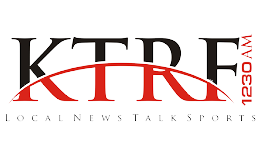 KTRF is a true broadcast pioneer, the first radio station to broadcast from the Minnesota State High School Hockey Tournament in 1948. day, offering a full service of local News, Sports, Weather, Information, Agriculture and Talk. KTRF also presents award winning programming from CBS News, Westwood One, Minnesota News Network and Brownfield Ag. Along with our locally produced coverage of Thief River Falls High School and Northland Community and Technical College sports; KTRF also has been the radio home of the Minnesota Twins since the teams inception in 1962; and also carries the Minnesota Vikings, limberwovles, Wild, Lynx and Golden Gopher broadcasts. Since the 1960s, and early cable television, in the Thief River Falls community, KTRF Radio has been a presence on Cable Channel 3 on the local access channel on Sjoberg’s Cable TV system. 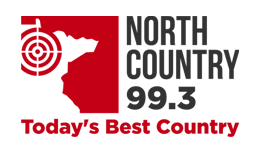 Cable #3 is a visual offering of local news, sports, weather and public affairs announcements; along with valuable commercial business advertising, 24 hours a day 7-days a week. A series of announcements rotate through the day, all backed by the live audio of KTRF-AM 1230. Cable Channel 3 is available in nearly 5,000 households in the region.